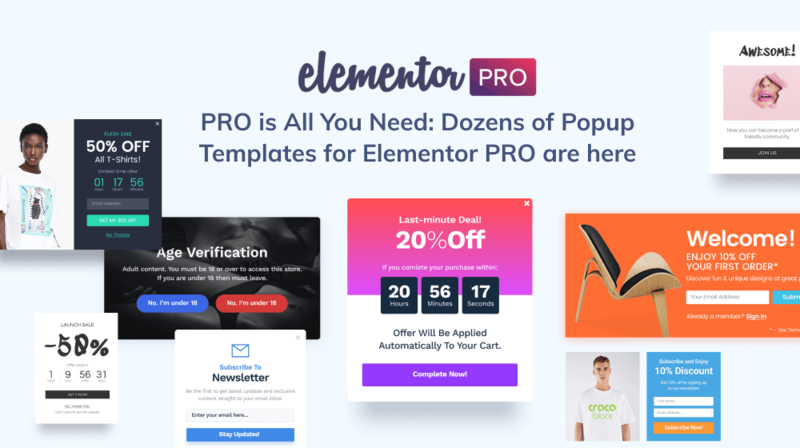 January 21 was a momentous day for everyone who loves Elementor. A new Popup Builder was released and presented to the public. We congratulate Elementor team with this great achievement! In that regard, we want to announce you a new era in popup templates by CrocoBlock. 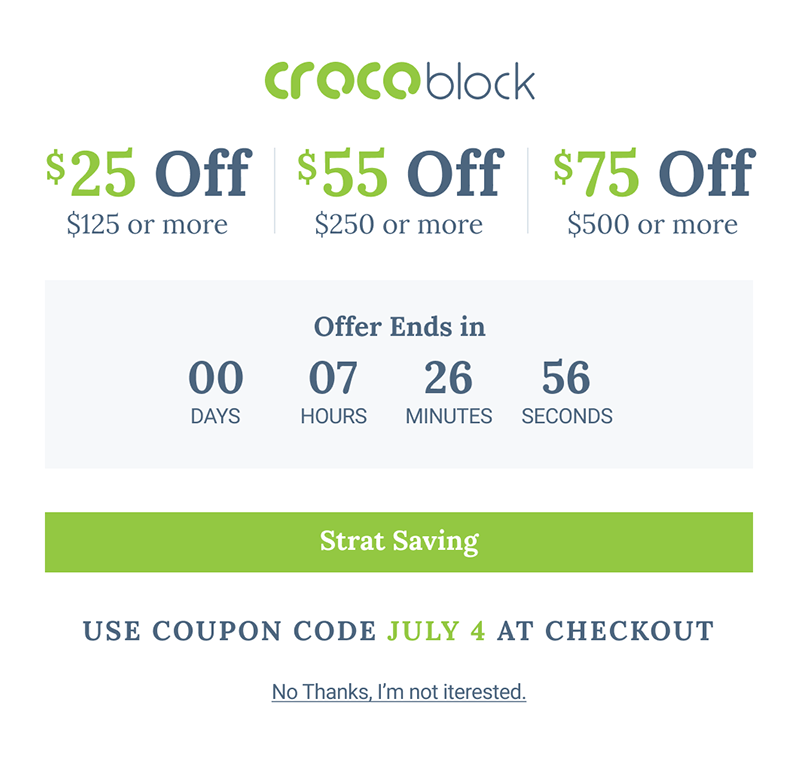 Since this moment you can utilize stylish pre-designed popup templates by CrocoBlock team even if you don’t have CrocoBlock subscription and don’t use Jet plugins. Popup templates by CrocoBlock team are sold at an affordable price. There are 10 JSON files in each bundle, each is perfect for different niche markets. No matter what topic of your website is (a travel blog, an online store, a conference, business, a gym studio, etc. ), popups increase sales, leads, and conversions for any type of business. CrocoBlock’s trendy templates can be applied to any website. Here are some cases when you can use popups the most effectively. Do you send emails to your subscribers weekly? 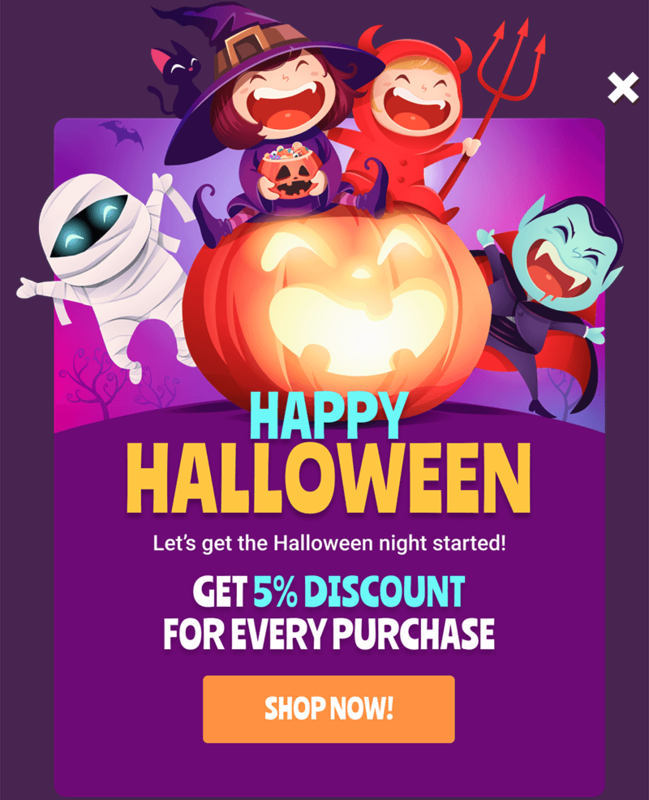 FYI it’s one of the best ways to inform them about the latest news, upcoming events, current discounts, etc. 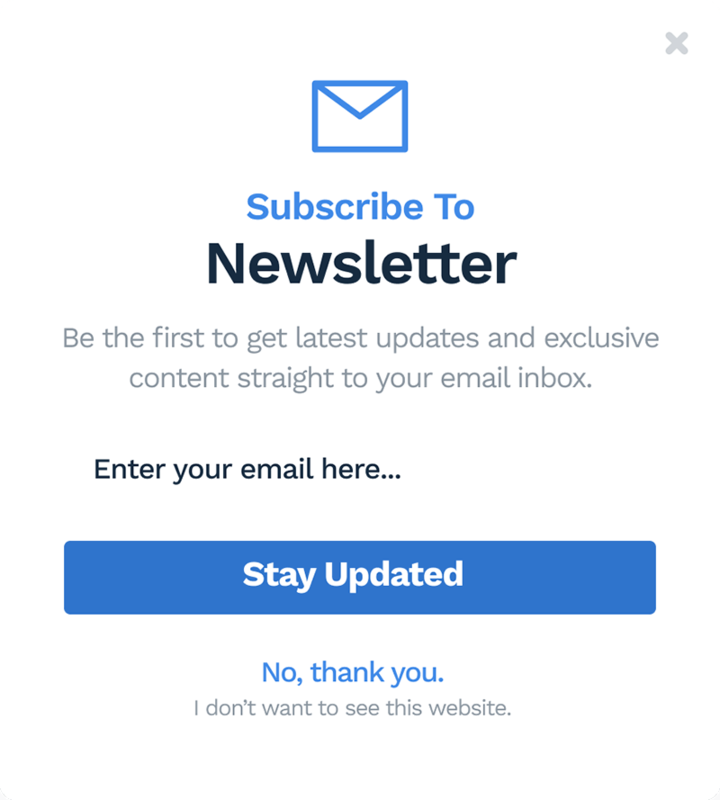 Use a popup to collect newsletter subscribers and grow your business. 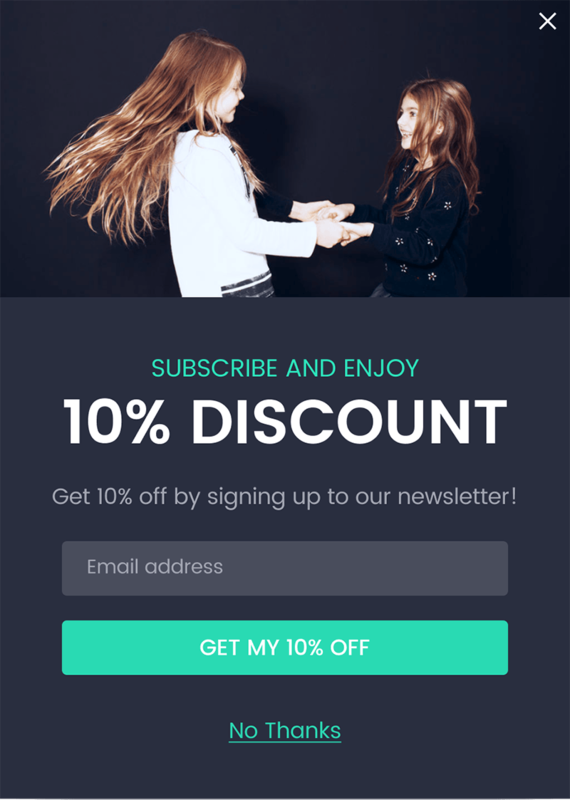 To make sure a potential customer is going to purchase your product, you can offer an “immediate” discount with popups. It prevents you from losing your money. Marketers have a tactic of giving free gifts. Use a popup with an eye-catching picture to attract a first-time or repeat visitors. Time-based popups is a forceful tool since they add an element of urgency. The only warning here is – be sincere. Such popups usually include countdown timers. The best solution is to target this offer at first-time visitors only. Lots of customers leave your page really quickly as they are confused and have tons of questions. Here you can use a popup to offer human support. It can help to get rid of any doubts that your visitors have. You can kill two birds with one stone and offer a discount in exchange for an email address. Such popups greatly increase your chances of securing an immediate sale and help you to establish a customer relationship through email. After the purchase is done and you got your money, you can offer a customer some more products from your website: they can be related products, recent products, featured products, best sellers, top rated products, etc. There are more cases where you can use popups. It doesn’t matter which one you will choose. Try to make the best use of it! It’s very simple. After you’ve purchased a popup template, you’ll get an archive with two folders in it: “Jet compatible” and “PRO compatible”. These folders include JSON files. Go to your WordPress Administration panel and click the “Import Popup” button to upload the needed JSON file from your computer. If you use Elementor Pro plugin, upload files from the first folder on your website. If you use Jet plugins, upload the “Jet compatible” files respectively. And voila! Everything you need to do now is to customize a popup according to your needs and make some appearance changes based on your taste. P.S. 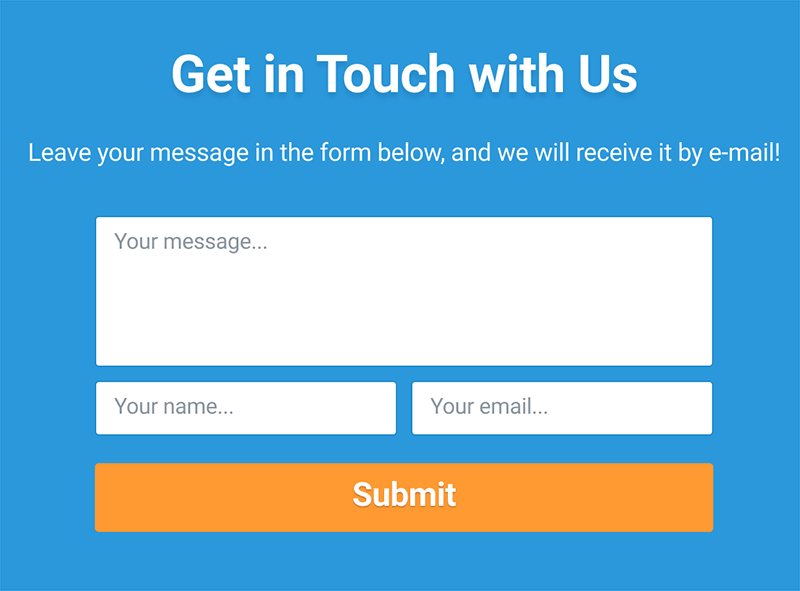 In case you use these templates with JetPopup plugin, you will need to install JetElements, JetTricks and Contact Form 7 plugins where required. The list of the plugins required can differ from bundle to bundle. All the needed products are available in CrocoBlock subscription. Now, it’s only up to you which popup set to choose! My mission which makes me wake up every morning is bringing knowledge to the world. Working at CrocoBlock I can express myself and help you at the same time!